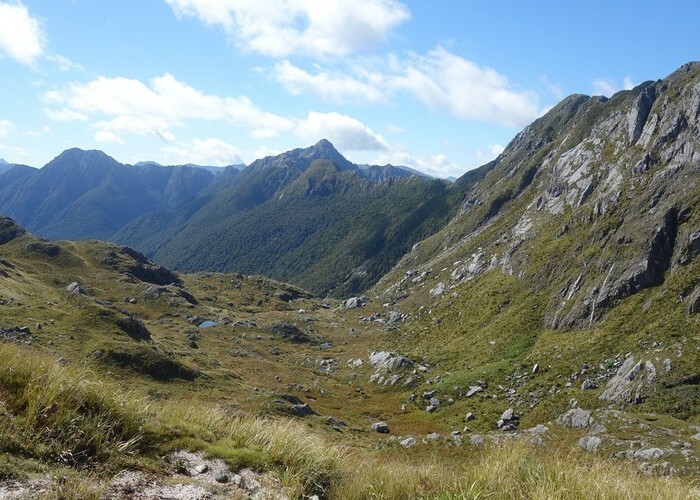 I took this photo when returning to the track after some time roaming the tops in the Mt Zetland area west of Little Wanganui Saddle on the Wangapeka Track. The vista is over Zetland Basin looking down the Taipo River and along the Allen Range. I've added map points for Mt Zetland at the head of the basin and Little Wanganui Saddle where the tops were accessed from. Added 26 January 2018 by glennjglennj. No revisions.